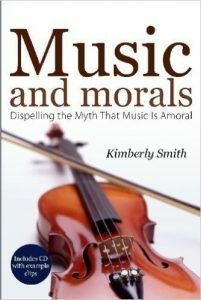 This is the second book I’ve read by Kimberly Smith on music. This is forwarded by Frank Garlock and is very much in the mode in which he writes. I don’t necessarily disagree with these kinds of conclusions. However, I am a layman in the technical side of music and can’t say whether all the conclusions are completely sound or not. My disagreement with modern music is in the area of worldliness, so Smith’s (and many other music books on my shelf) conclusions coincide with mine, but from a different angle. If you have never read anything from this perspective, you ought to. She writes, “Much of Christian music today is replete with conflicting messages between the lyrics and the music itself. Our mouths may be praising the Lord and declaring His holiness, but the message conveyed through immoral music techniques far outweighs the message of the lyrics, and we see it manifested in how people react to the music.” Anyone who has shopped in a store with annoying music knows this is true, at least to some degree.